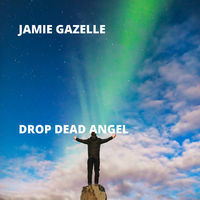 Jamie Gazelle’s Drop Dead Angel Is The Resurrection That Rockers Have Been Waiting For! Jamie Gazelle is a lifetime musician, performer, songwriter, and career rocker. This seasoned veteran of rock and blues dance is a self-made genius and rising presence in the music world. Gazelle is an easily likable talent, but it is his originality that is most impressive. His latest song, Drop Dead Angel is a definite winner and far beyond the worth-to-wait listen status! Drop Dead Angel is one of Gazelle’s finest songs. With a length a little over five minutes, we are transported into the integral sounds of classic rock in a radio-friendly melody that compromises nothing in its artistic statement. Amazingly, Gazelle is able to develop to create a guitar heavy and vocal witty melody that is a bright masterpiece. To Win the Love of a Woman: What Is The Origin of Apple Symbolism In Ancient Mesopotamia And Why Does It Change The Genesis Account?